In this section, you will find useful information regarding the Basics of FX. Every beginner has a hard time getting started because of so many options and different information over the internet that creates confusion. Eaglesinvestors is building a massive database, and it will keep on updating depending on markets sentiment. So starting with the most crucial aspect in Basics of FX is its PSYCHOLOGY. Please visit Investopedia for a more in-depth explanation about Psychology. Before explaining why psychology is critical, let’s understand first what is forex and why do you want to trade. Forex stands for foreign exchange, and it allows you to trade several assets like currencies, commodities, stocks, indices, and cryptocurrencies. However, to begin trading, you need to use a trading platform such as Meta Trader 4, Meta Trader 5 or Web Trader. 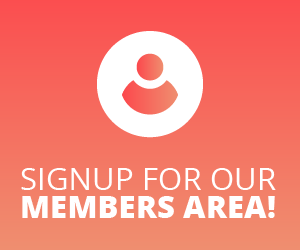 That said, to actually engage in trades first and foremost you will need a trading account with a brokerage house. Assuming that you have a trading account, you are one step away from trading but unfortunately is not that easy. Every beginner’s mistake is that they venture into trading with understanding how it works. It’s not as simple as just pressing BUY or SELL and in 96% of the cases beginners wiped their trading accounts. First and foremost is lack of knowledge, where a mix of emotions can lead to your downfall. Before even considering to start trading take your time and analyze why you’re doing it, to begin with, and always start with the Basics of FX. Everyone has their reasons, and everyone is doing it to make money but how can you make money outa something you don’t understand? MAKE NO MISTAKE; trading is considered a risky investment especially when dealing with leveraged assets. However, let’s assume you understand the Basics of Forex and perform a Fundamental and Technical Analysis and you’re ready to start trading. Remember the reason you decided to trade in the first place and understand the Basics of the Forex Market. What are you trading for? Unfortunately, this is not a get rich fast scheme, and it takes time for one to become a successful trader. Even when you master the Basics fo FX is still a long way to the promised land”. Along the way, traders are experiencing and LOSSES, and without a proper mindset, you will probably make the same mistake as the 96% of the cases. So, how can you avoid making mistakes? The most simple answer is PSYCHOLOGY. Unfortunately, there is no perfect trading strategy, and the only thing that could cloud your judgment is emotions. As long as you keep emotions in check everything else will become easy. Loses can’t be avoided because of too many variables such as contradictions between Fundamental and Technical analysis, Geopolitical Tensions and Natural Disasters. 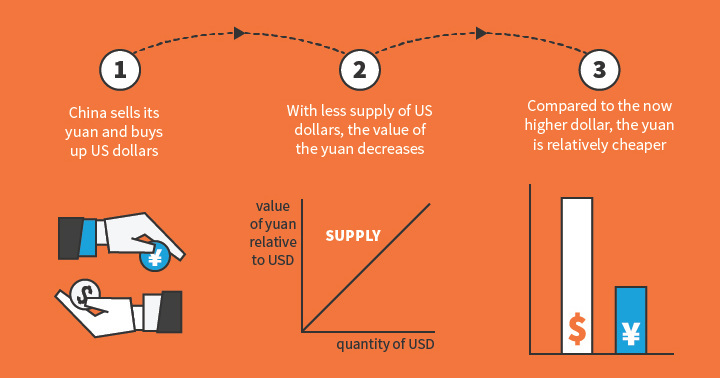 Basics of FX are the first step you need to take before starting to trade. Currency pairs are the international currencies from two countries combined for trading on the foreign exchange market. In this vein, both currencies will have exchange rate on which the trade will have its position basis. Hence, all trading within the forex market, whether buying, trading or selling will take place via a currency pair. 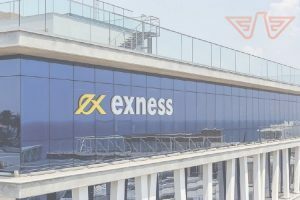 Therefore, the selling and buying of currencies in the foreign exchange market present countless opportunities from a trader to gain huge profits. Most importantly, currencies can identify themselves by their three-letter alphabetic code they are associated with on the global market. If you want to succeed in Forex, this is part of the Basics of FX which you have to understand and grasp completely. Currency pairs are always joined together because the currency pair’s rate mainly focuses on the valuation of those two particular currencies. 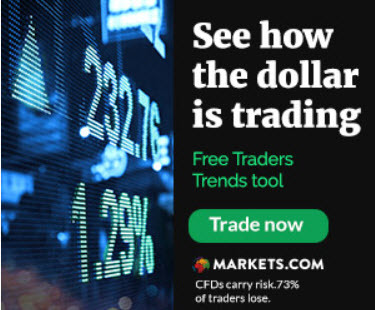 However, most traders tend to trade against the United States dollar (USD). The price at which currency pair trade refers to the exchange rate in the forex market. In forex, this exchange rate is not stable, and it is affected by currency demand and supply. Trading of currency pair mainly done on the forex market is also referred to as the foreign exchange market. Foreign exchange markets are the primary liquid and the largest market in the financial arena. Therefore, this market permits exchanging, speculation of currencies, buying and selling. However, it also allows the conversion of currencies for investment and international trade. The foreign exchange market is accessible 24 hours a day, five days a week excepts holidays. Almost all forex trades involve the simultaneous purchase of one currency and sale of another, but the pairs itself can be thought of a single unit. Hence, if one buys a currency pair, you buy the base currency and implicitly sell the quoted currency. The buying price shows how much of the quoted currency you need to get one unit of the base currency. However, when you sell the currency pair, you sell the base currency and receive the quote currency. 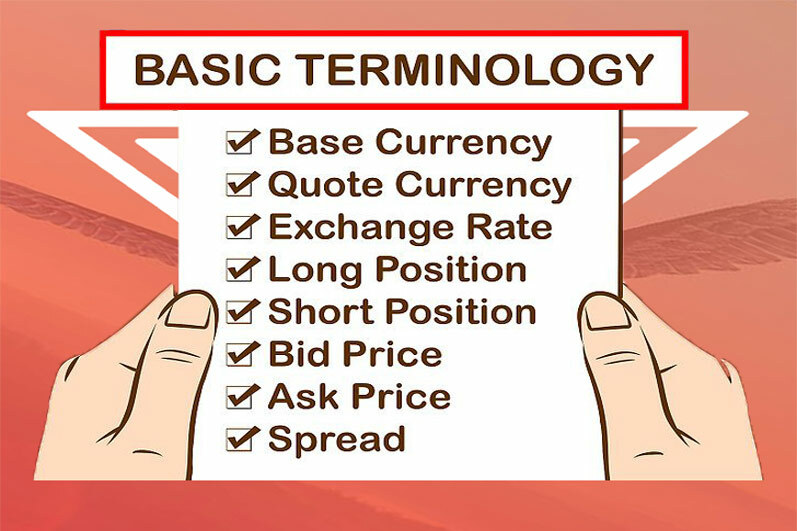 The selling price for the currency pair symbolizes how much you will earn in the quote currency for trading a unit of base currency. Unlike the commodity or stock market, you trade currencies which means you’re selling one currency to buy another. Therefore, for commodities and stocks, you’re using cash to purchase one share of Google stock or an ounce of gold. The money that sells the most amount against the US is known as the major currency pair. The dominant traded currency pair on the exchange market is the EURO versus the U.S dollar, or symbolic as EUR/USD. Moreover, it is the best liquid currency pair around the globe because it is the most heavily traded. The quotation EURO/USD = 1.2500 means that one euro is exchanged for 1.2500 US dollars. In this vein, EUR is the base currency, and USD is the counter currency. Therefore one euro can be traded for 1.25 US dol lars. Moreover, another way to view this is that it will cost you $125 to purchase EURO 100. There are many currency pairs as there are currencies around the globe. The total number of pairs that exist changes as currencies come and go. Having said that, all currency pairs are categorized according to the volume that is traded on a daily basis for that specific pair. 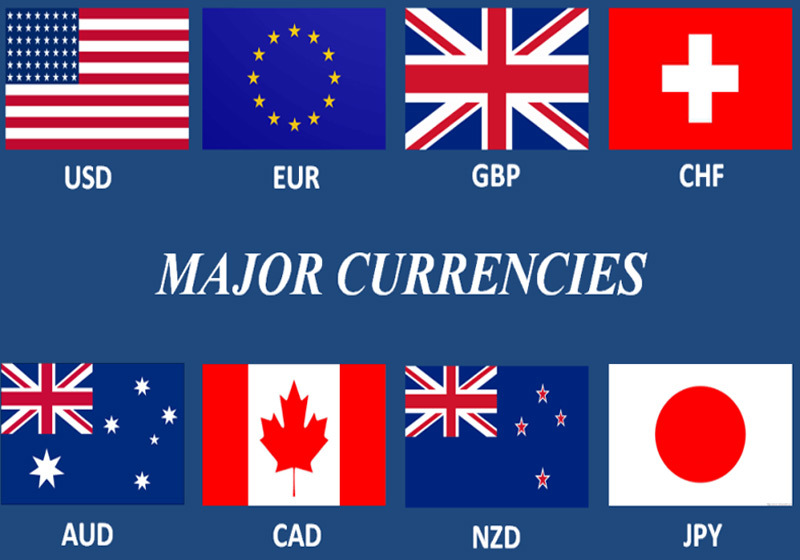 Currency pairs that do not combine with the US dollar can be known as minor currencies. Therefore, these pairs have marginally wider spreads and are not as liquid as the major, but they are sufficiently liquid markets. Consequently, the crosses that trade the best volume are between the currency pair in which the individual currencies are also majors. The exotic pairs are the least traded in the foreign exchange market. 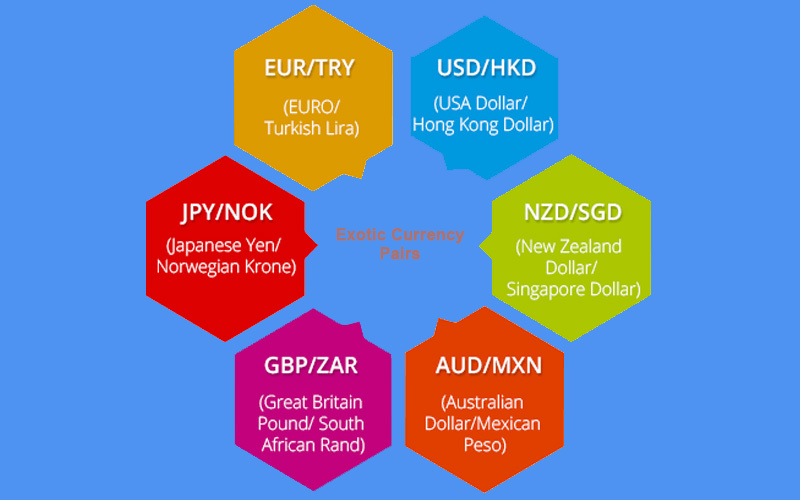 Exotic currency pairs consist of currencies of emerging markets. Therefore, these pairs are not as liquid, and the spreads are much broader. Choosing the right currency pair to trade depends on your experience as a Forex trader. 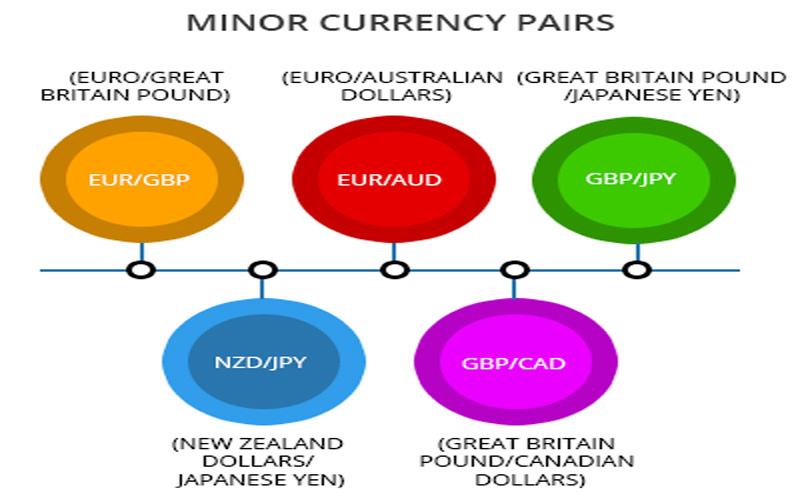 More so, if you are new in Forex trading, it is good to stick with the minor and major currency pair. It’s easier to find trades, and you will get lower spreads. Therefore, exotic pairs are more challenging to work with because they are far less liquid and you will see higher spreads. The exchange rate today is volatile and unpredictable for reasons that are justifiable. Then again who would expect otherwise? One moment you think that the conditions are favourable, the next minute something pops up in the news that changes the exchange rate drastically. 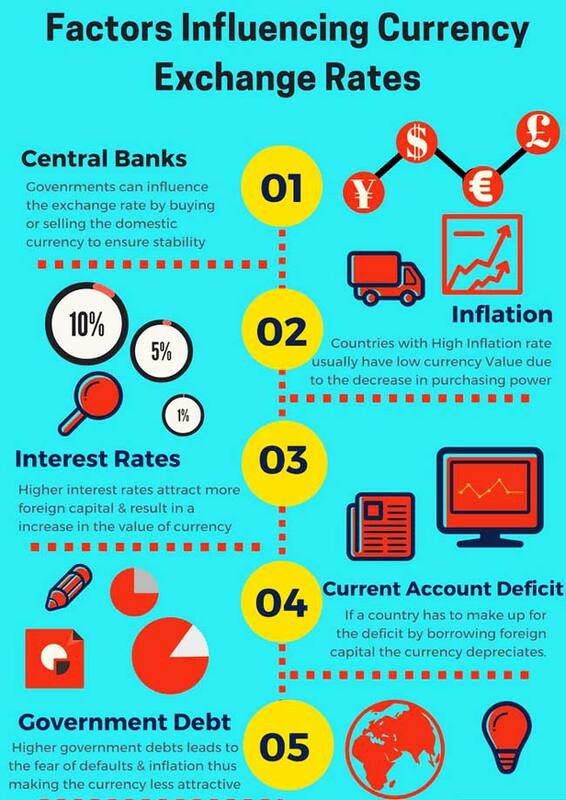 However, to understand and be more critical of the constantly changing exchange rates you need to know what exchange rates are concerning. Exchange rates determine the value of a currency in another foreign currency. We can say that it is more like how much it would cost to buy another foreign currency with your money. Let’s treat it as a commodity for example, if there is a choice between Colgate and fresh aqua toothpaste. If for some reason aqua fresh gives the best results and the demand for it goes up, its price will also rise. It is the same with currencies; if demand is high for a particular currency, usually the value of the currency will increase. For most of the currencies, the exchange rate is determined by foreign exchange traders. These are individuals that are continually trading currencies around the clock. Considering the inevitable fluctuation of the exchange rate most people make it a habit of using the currency converter on a daily basis to see what the value of their currency is against another. Generally, a low and consistent standard of inflation is favourable because it indicates the rise of the currency value as the purchasing power relatively rises in comparison to other currencies. However, companies with much higher inflation see a decrease in their currency value — hence higher interest rates. The interest rate that a country pays through its central bank is critical. The interest rate determines the value of the currency, the higher it is, the greater the value of the currency. Investors are more interested in the currency that pays more. 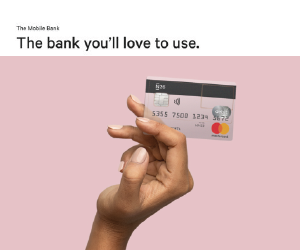 Such that as it is saved in that country’s bank account, they can benefit from a higher interest rate. When foreign investors are looking to invest their capital, it is inevitable that they search for countries that have a strong economic performance as well as financial security. A combination of all these great qualities instinctively diverts investment funds from the countries that are riskier in these areas. Countries get involved in enormous deficit while trying to finance public sector projects as well as government funding. These kinds of activities excite the domestic economy; however, for foreign investors, this is a huge turn-off. Reason being that big dept enforce inflation. When inflation is high, the debt becomes serviced and paid off using real dollars that are cheaper in the long run. 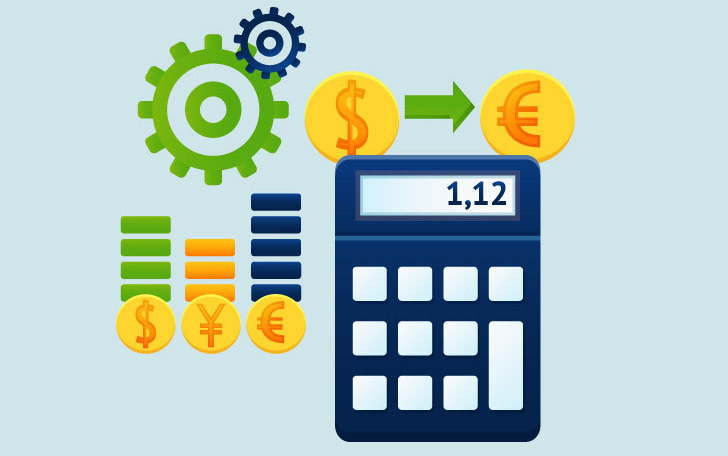 Terms of trade are represented by a ratio that compares an export price to an import price, with the balance of payments as well as current accounts. The terms of trade of a country affect the exchange rate. Let us assume that a country ’s export prices have risen at a much higher rate than the cost of imports. Meaning their terms of trade have made a significant improvement. A countries exports are evidently in higher demand when the terms of trade increase. Overall this will result in exports giving more revenue, which brings about a higher demand for the country’s currency, thereby increasing the value of the currency. Moreover, if the export price goes up more than the imports’, the value of the currency will deteriorate as compared to trading partners’. The inevitably consistent rising and falling of currencies all over the world can seem like an endless roller-coaster ride. With some sudden gut-wrenching falls. 2017 was the year US dollar was heading south, experiencing its worst year in a decade. Meanwhile, the euro and the British pound were enjoying the view from the top. Nevertheless the exchange rate today defines the dollar as one of the strongest currencies in the world. With the improvement of the monetary policy, the expansive monetary policy was terminated. Since it was no longer adding to the money supply, the supply of the dollar was constrained increasing its value. Interest rates were also raised in 2015 by the Feds, strengthening the dollar. Secondly – the currency value of the euro went down when the European central bank did the exact opposite. The political instability of the European Union also aided in the weakening of the euro value. The exchange rate euro to dollar proves how the euro did against the US dollar in the past. Every time the euro weakens, the strengthening of the US dollar is automatic. Lastly- forex traders took advantage of this exchange rate comparison. They used influence to weaken the euro even more and make the dollar stronger. Investors taking note of dept. The pound is the United Kingdom’s official currency and is the oldest currency in the world, that is still in use today. It is number four on the most traded currencies on the forex markets. The historical exchange rates of the pound to euro show that the pound has trade premium to the euro. 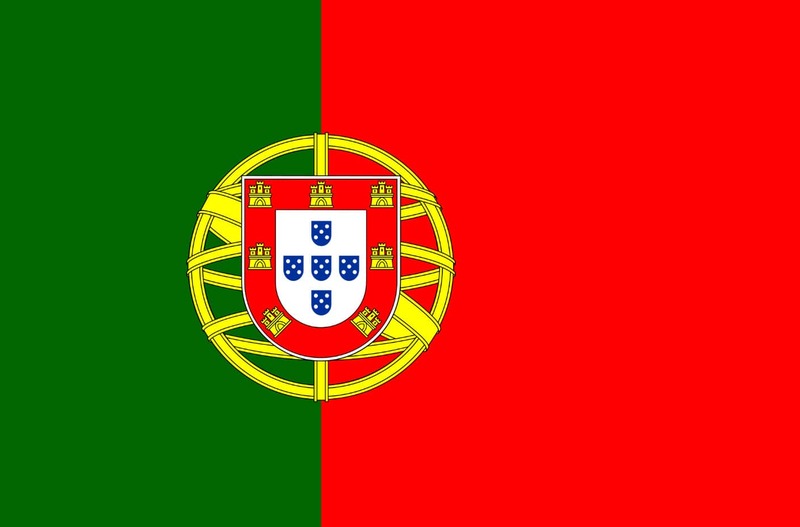 As the euro formally entered as part of the first 11 Eurozone countries between 1999 and 2002. The pound value was ranging from 1.567 to 1.73 euros. However, due to the effect the 2008 recession had on the British economy, the pound did not do so well against the euro. With every currency, you must avoid being vulnerable to the unexpected shifts of the exchange rate today. Because no one can predict what will happen next, not even experts. If stock market performance is so difficult to predict, imagine how much harder second–guessing currency and exchange rates changes would be. Never invest more than you can afford to lose. Also, never let emotions control your judgment and learn from your mistakes. Finally, if this is the path you want to follow make sure you learn and practice on a DEMO account before trading LIVE. Eagles investors wish you Happy Trading and Every Success!